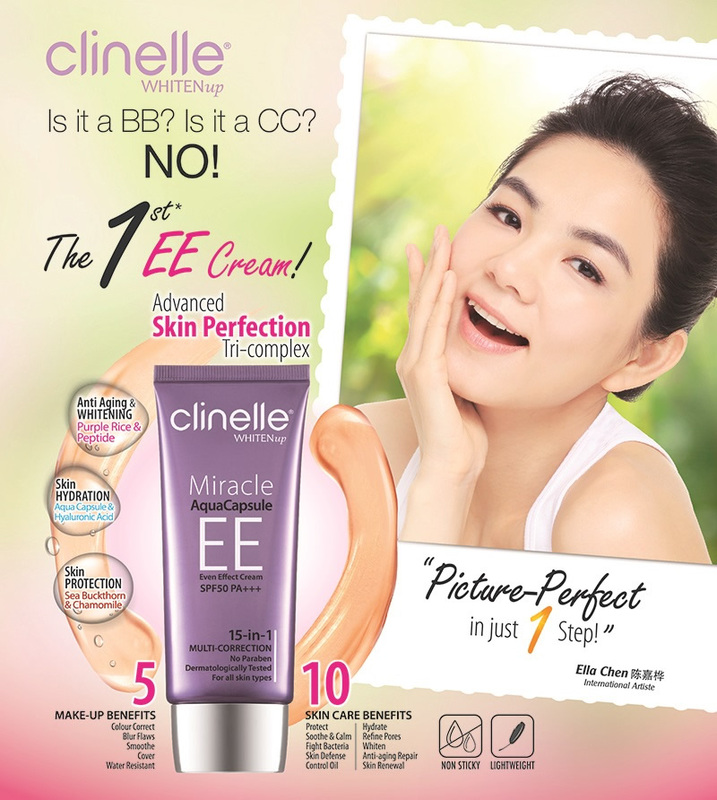 Experience A Beauty Breakthrough With The Next Generation EE Cream! Meet our 1st All-in-One Clinelle WhitenUp EE (Even Effect) Cream SPF 50 PA+++, a masterpiece that combines skincare and make-up in one beauty product. It is the latest tinted moisturizer that corrects and evens out every visible flaw, while addressing every skin concerns. With advanced skin perfecting complex, this multi-correction cream delivers whitening, hydration, anti-aging repair and sun protection SPF 50 PA+++ while giving immediate skin perfecting coverage for an evened and fresh-faced complexion. Our innovative formula features encapsulated aqua capsules for instant cooling and hydration. It’s lightweight, smooth and non-greasy texture softens and supples the skin for a perfect flawless skin!